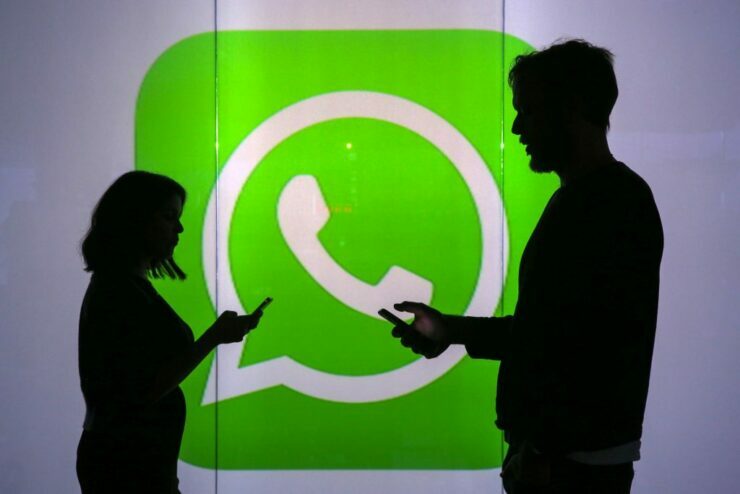 Following its meteoric rise to popularity in several developing regions, popular messaging app WhatsApp has found itself at the centre of a, particularly unique controversy. The messaging service has been repeatedly used to spread false/misleading information which has resulted in the deaths of several people. After a lot of public outcries, the company has been working on implementing measures that may help curb the spread of fake news. One of the first measures involved limiting forwarding messages in India to a maximum of five times, followed by clearly labelling forwarded messages. The company even partnered up with an Indian startup to launch a fact check service. Another concept of Frequently Forwarded Messages let users see how many times a message had been forwarded and allowed them to distinguish between forwarded messages and frequently forwarded messages. Today, the latest version of the beta reveals another feature that gives group administrators more control over what can be posted in their groups. 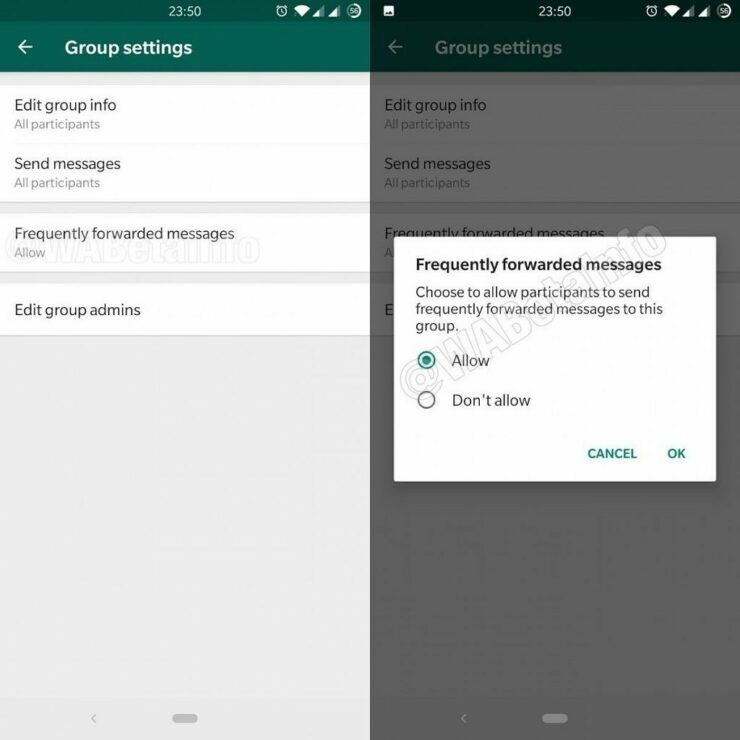 WABetaInfo found that in the latest Android version of the WhatsApp beta, version 2.19.97, the company is testing another feature for group administrators to stop users sending frequently forwarded messages in groups. The feature is not available for use yet, as it’s still in testing. If it makes its way to a future release, the option should be visible in Group Settings and will be available only for administrators. When the option is enabled, group members will not be able to send frequently forwarded messages in the group. The only ‘workaround’ is to copy the message and paste it as a new one, which holds true to bypass any of the restrictions placed of forwarded messages. Of all the measures put in place to limit reckless forwarding of messages so far, this one seems to be the most effective as it will give group administrators better control their group. Copy pasting is often more cumbersome than forwarding (on a phone anyway) and it’ll put a lot of people off forwarding every message they get.